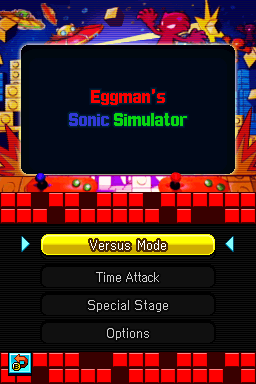 Game Land is an extra level in Sonic Colours. It allows for multiplayer gameplay in both the Wii and DS versions of the game. Depending on the version, the gameplay is different. The DS version of the level is a racing world where Multi-Card play allows multiple DS users with the game to race each other in Game Land. You can also go online via Nintendo Wifi Connection and race others over the Internet. This page was last edited on 8 April 2018, at 09:41.